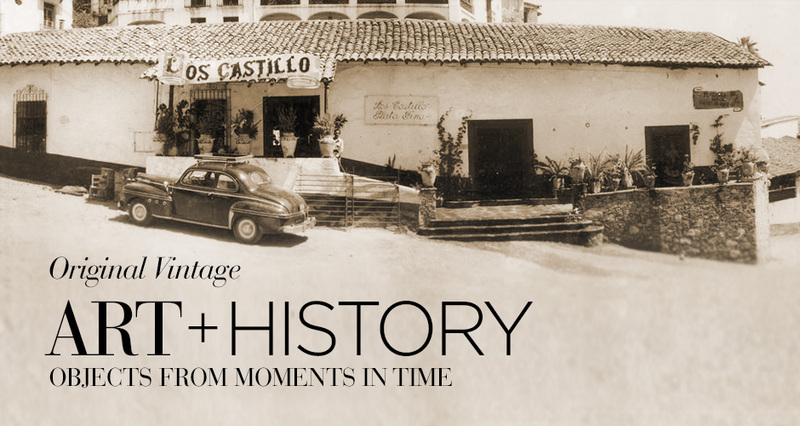 Los Castillo Taller (Silver Workshop), Taxco, Mexico, Circa 1940's. It’s not about us, it’s about Vintage Jewellery. A splendid piece of earth, transformed, has taken millions of years to journey all the way to you. That’s what makes it special. Do you have any idea how long it takes the earth beneath your toes to squeeze the bejeezus out of some atoms to produce a bright vein of turquoise? This tiny hunk of sea-blue stone spent the last million years, in it's pupal form of earth, with some copper and aluminium churned in, waiting for the right conditions; some water to filter through, a bit more oxygen and iron to liven up the party, a pinch of potassium, and a really dry crust of volcanic earth above. So when you look down at that vivid little piece of earth on your finger, you can't help but gasp with a little wonder, at how long it took that beautiful bugger to bloom. Once that stone has formed, deep down in the earth, someone - probably someone long dead - has cut it out, lovingly hand carved it’s edges, shaped details in it's contours and polished it, over and over and over again. That collision of circustances, that process - makes it all impossibly unique. There just isn’t another the same, anywhere in the world. That’s what tickles us. So really it’s about the amazing vintage jewellery, lovingly transferred from jewel box to jewel box; polished, paraded and admired through the decades - all the way to here and us, now. Enough talk, let’s get back to the vintage jewellery!